Boerkey GmbH, D-58089 Hagen, is a producer of Roller Skates Express and Heavy Duty Wheels since 1951. For longer distances and higher securities we developed two top-plate series (AS, AM) with a chain guide, which can as well be made in a twin shape (ZAS, ZAM). 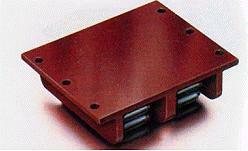 The carrying capacities are 150 up to 4000 kN. Models A are top-plate Roller Skates and are made in a very robust manner with carrying capacities from 150 to 850 kN. 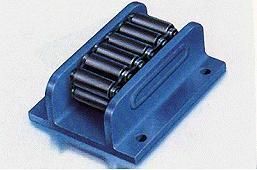 The simple model A is suitable for short distances, can be improved by choosing hardened centre-plate or higher quality of chain roller.